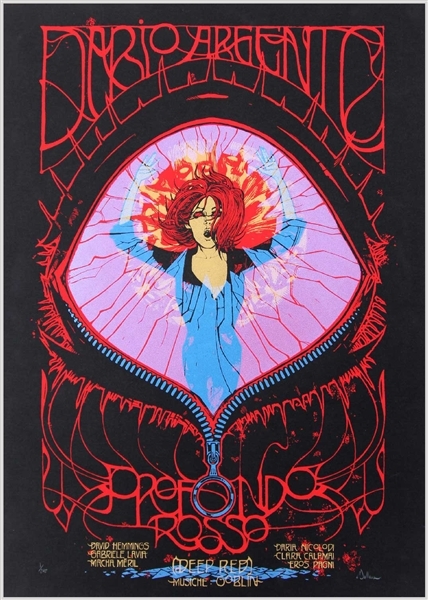 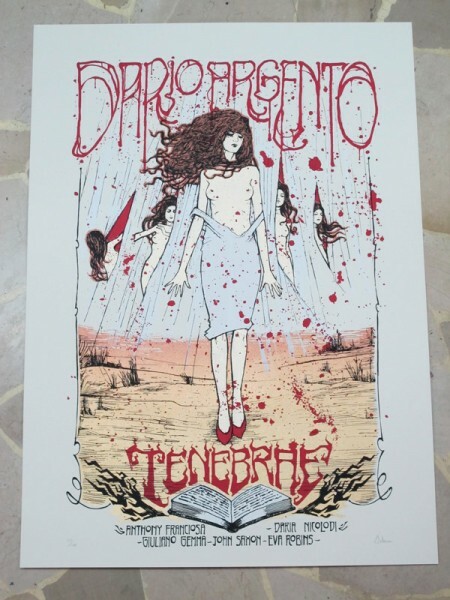 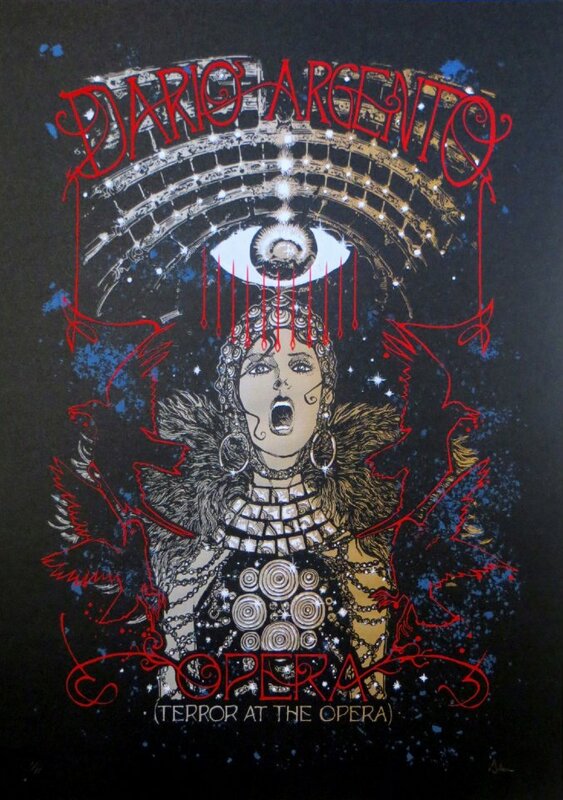 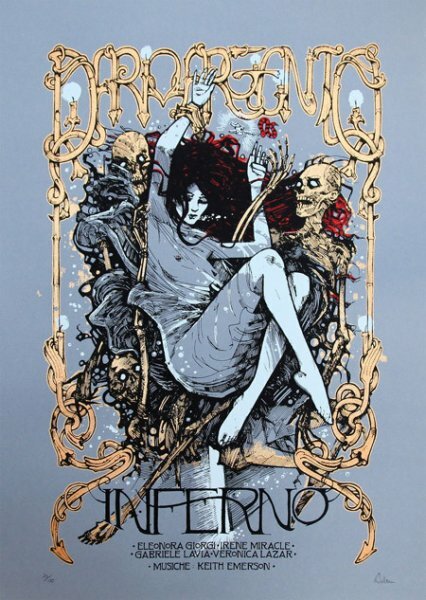 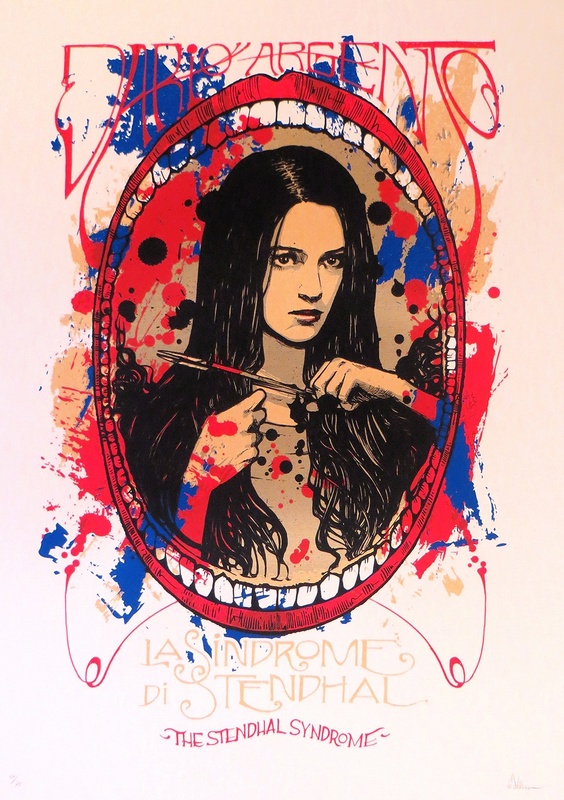 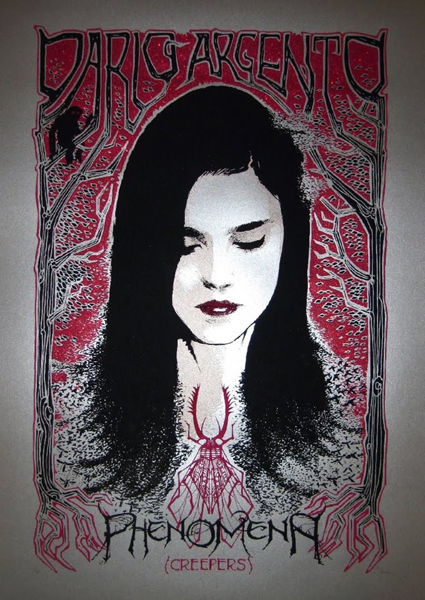 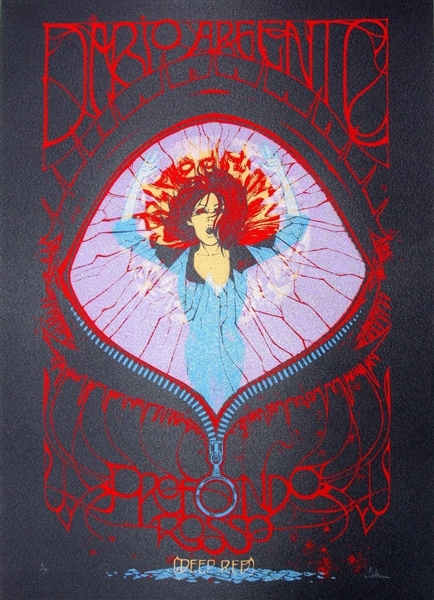 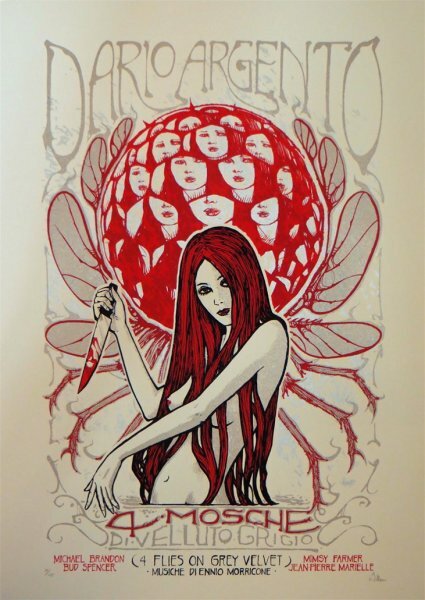 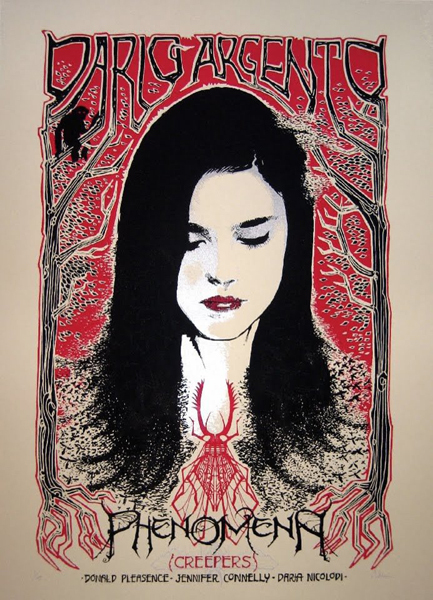 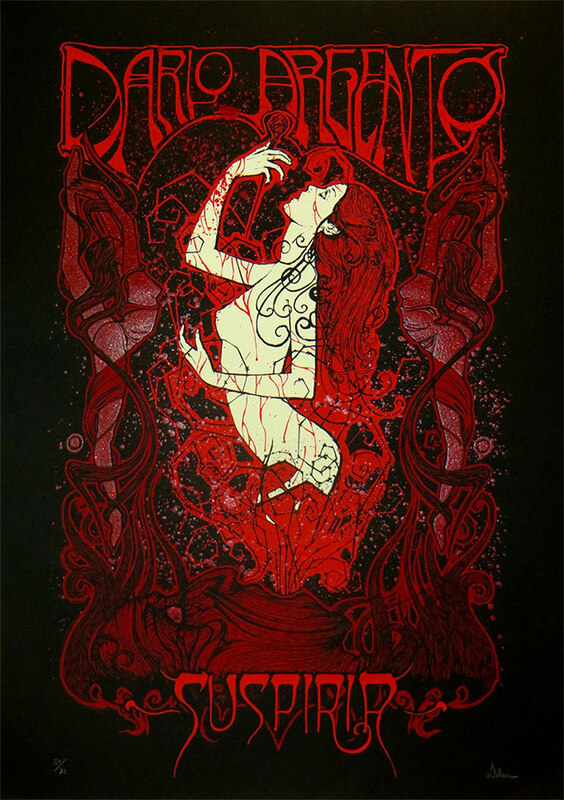 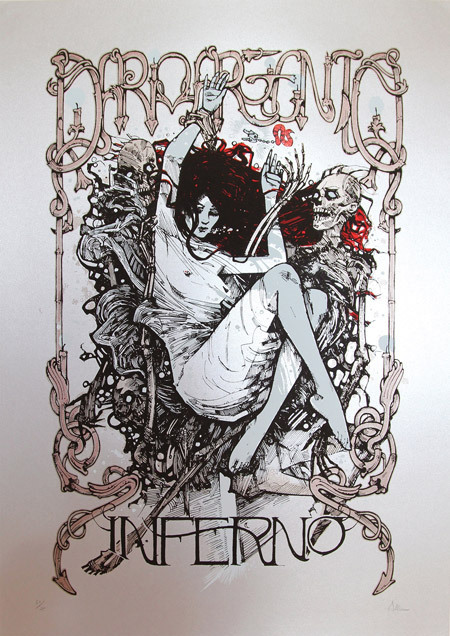 From the end of 2011 till the beginning of 2013, Malleus, in collaboration with the british Dark City Gallery, have released 9 movie posters, celebrating the key films of Italian horror master Dario Argento. 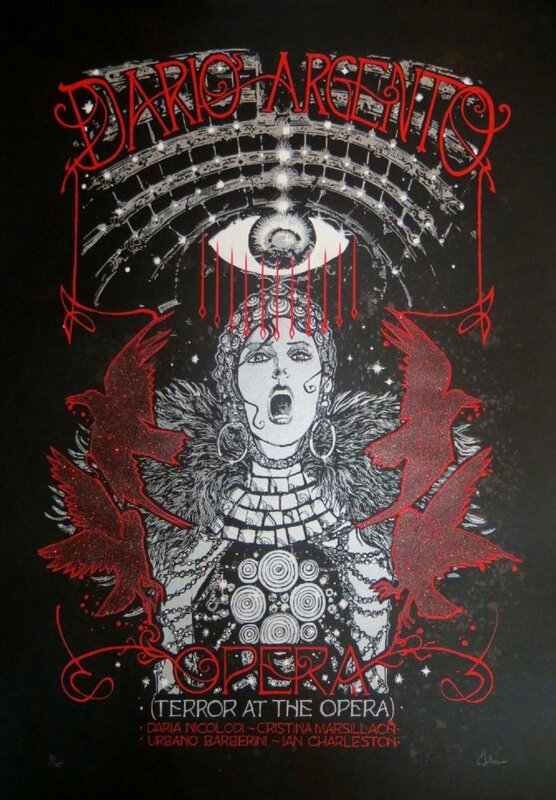 Original artworks have been created for L’uccello dalle piume di cristallo (aka: The Bird with the crystal plumage), Profondo Rosso (aka: Deep Red), Phenomena (aka: Creepers), Tenebrae, Opera (aka: Terror at the Opera), 4 mosche di velluto grigio (aka: Four flies on grey velvet), La sindrome di Stendhal (aka: The Stendhal Syndrome), Inferno and obviously Suspiria. 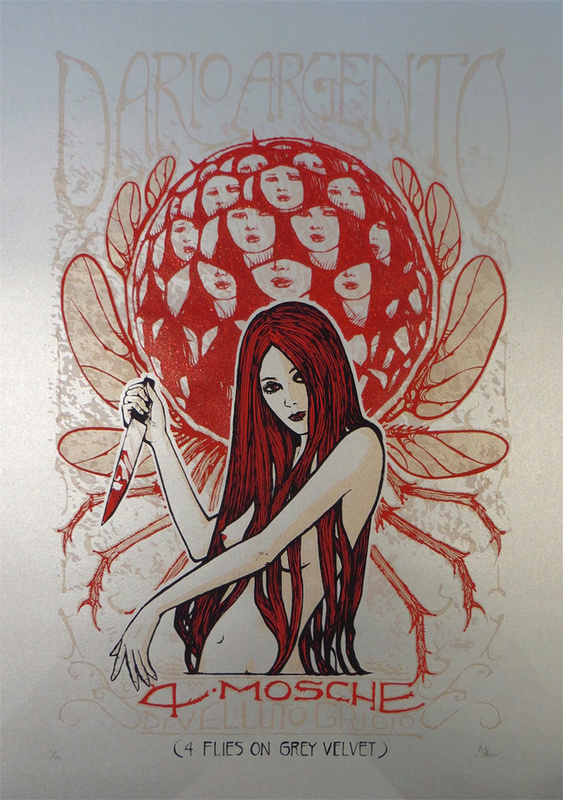 Handmade silkscreened prints have been realized in a regular and variant version for each title.